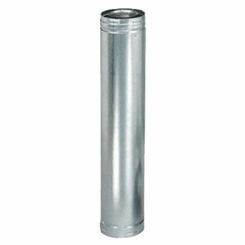 Stove pipe is essential in venting noxious gases away from a stove and up through the roof and out a chimney. 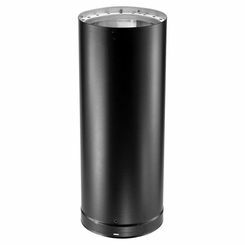 Regardless of the stove’s fuel type, you need a way to vent it. 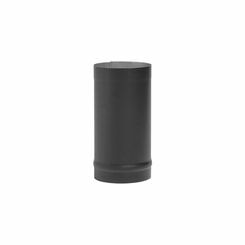 Stove pipe is often built from 22-gauge black steel. 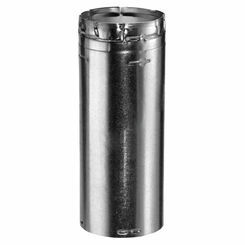 If double- or triple-wall, the pipe is usually equipped with an alloy stainless steel inner liner to reduce clearance around combustible materials. 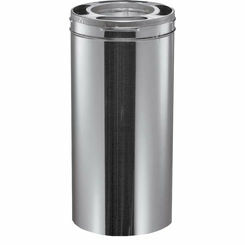 Save on Monessen and M&G DuraVent stove pipe with the HVAC experts at PlumbersStock. When it comes to setting up the air exhaust system for your freestanding stove, it’s important to note you should never mix-and-match different “wall” types of stove pipe within a single chimney system. The reason for this is that different brands of pipe are specifically engineered to be used as a complete system from beginning to end. Matching different brands of stove pipe could result in a haphazard construction which could lead to carbon dioxide poisoning or fire. In regards to the different types of stove pipe, there are three: single-wall, double-wall, and triple-wall pipe. Generally speaking, the safety of the pipe is increased as the clearance is decreased. For instance, triple-wall stove pipe is the safest option and offers minimal to no clearance for combustible materials such as carpet, wood, or drywall. This makes it the ideal pipe if you have a small space with many surrounding combustible materials. 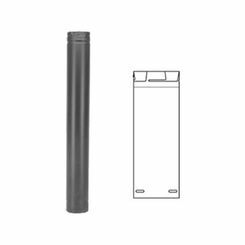 Single-Wall stove pipe is often used when you have plenty of clearance room between your freestanding stove and combustible materials (a minimum of 18 inches). Single-wall pipes come in a variety of different lengths and diameters, and single-wall piping also has the advantage of having some telescoping products. 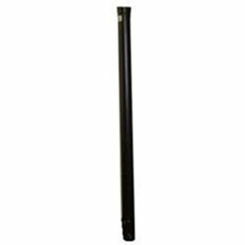 Telescoping piping allows the user to adjust the desired height of the stove pipe, for instance from 38 inches to 70 inches. Single-wall pipe is best used in larger homes where space is not an issue, and your stove can sit back from your couch, armchair, rug, or other combustible materials. 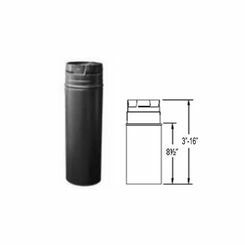 Double-Wall stove pipe is commonly used when the clearance to combustible materials is 6 inches at a minimum. 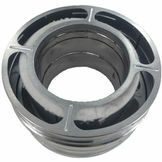 Double-wall pipe is built with two layers to decrease the clearance to combustibles. 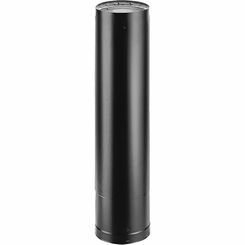 This double-wall construction allows the pipe to be cooler on the outside than single-wall pipe, letting you reduce both wall and ceiling clearances to 6 inches. This type of piping is more expensive than single-wall piping but is the safer of the two. 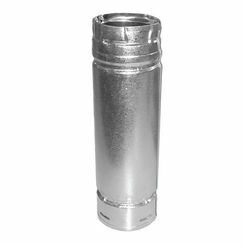 Triple-Wall stove pipe, also known as Class A pipe, is the most expensive and safest option between single and double-wall pipe. 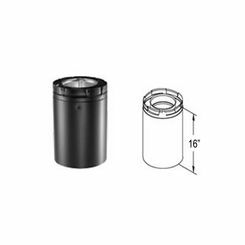 The triple wall construction is built with 3 layers to keep inside flue gases hot for proper venting and the exterior casing cool to protect your family and home. 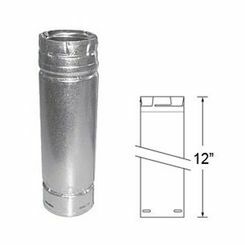 Many triple-wall pipes come with an additional air chamber that circulates cool air through the chimney to keep the outside of the chimney cool, even in the event of a chimney fire. 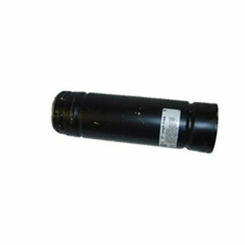 This type of pipe is extremely resistant, up to 2,100 degrees Fahrenheit. 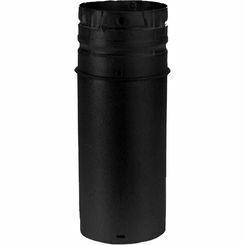 Whether you’re looking for stove pipe with maximum clearance or stove pipe that’s durable, cool, and protective for minimal clearance around combustible materials, PlumbersStock has the piping you need at the prices you want. 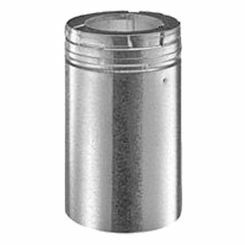 We carry many different sizes of single, double, and triple-wall stove pipe to accommodate many different models of freestanding stoves. Don’t spend your hard-earned money elsewhere when you can purchase the best top-quality materials from the HVAC experts without breaking the bank. 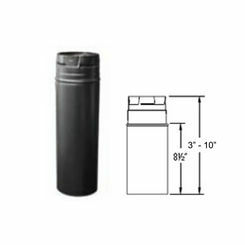 For help determining which type of stove pipe you need, or for assistance finding the right size piping, contact our friendly customer service team to answer all of your questions.